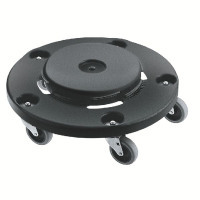 Providing you an easy way to transport all of your stored items, this dolly is perfect for saving you physical labour and ensuring that your items can be moved from place to place. This dolly features 4 castors that provide simple manoeuvrability as well as being designed to easily deal with heavy loads. The design is designed to be durable, allowing you to add weight without too much worry that there will be damage to your contents.